Antarctic minke whales are the second smallest member of the rorqual whales, usually weighing in at under 10 tonnes. Deep divers, these impressive little whales can hold their breath for up to 25 minutes. 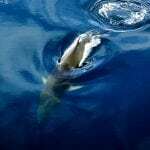 What do Antarctic minke whales look like? Graceful and nimble, Antarctic minke whales are perfectly suited to their environment. Their streamlined bodies enable them to glide through the water with ease and they use their long flippers to twist and turn. With two blowholes on top of their pointy heads, their chins are etched with deep grooves from their throats to their chests. Their skin is a shade of black or dark brown, and they have lovely pale bellies. Unlike common minke whales who have white markings on their flippers, Antarctic minke whales are unbanded. As far as whales go, they are actually pretty small too. With blue whales also among the rorqual family (the largest animal in the world), Antarctic minkes are dwarfed in comparison – generally no more than 10 metres long and weighing around 9 tonnes. What’s life like for an Antarctic minke whale? Antarctic minke whales are happy in their own company and tend to spend most of their time on their own or in very small groups of maybe two or three. That said, at certain times of the year large groups have been known to come together to socialise and feed, with as many as 60 whales turning up to join in. Despite a greater understanding of whales’ rights, Antarctic minke whales have faced a number of serious risks, including ugly encounters with whalers’ harpoons. Flying in the face of global opinion and an International Court of Justice ruling, Japan has killed hundreds of these enigmatic creatures every year. Japan has recently declared it will leave the International Whaling Commission, re-starting commercial whaling in its own waters. The only ‘silver lining in this news is that, at least Japan’s whalers will desist from hunting Antarctic minke whales. What do Antarctic minke whales eat? An Antarctic minke whale’s favourite food is krill. They are baleen whales, which means they don’t have teeth but filter their food through baleen plates in their upper jaw. Baleen is made from keratin, the same stuff that our hair and fingernails are made of, and it acts like a strainer. Minke whales feed by gulping large amounts of water, but like us, can’t drink saltwater. So, the krill and fish are caught by bristles on the baleen and swallowed, while the seawater washes through and goes back into the ocean. 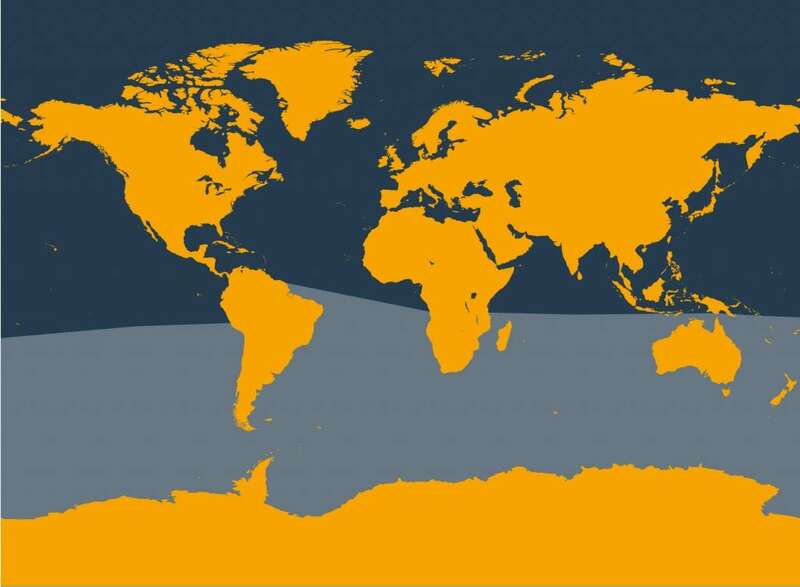 Where do Antarctic minke whales live? As their name suggests, Antarctic minke whales live mainly in Antarctica! Some migrate northwards in winter months to find warmer seas, while others stay put all year round. 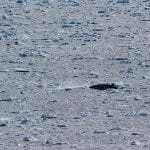 Sometimes, groups be seen gathering amongst the pack ice breaking breathing holes with their pointed beaks. 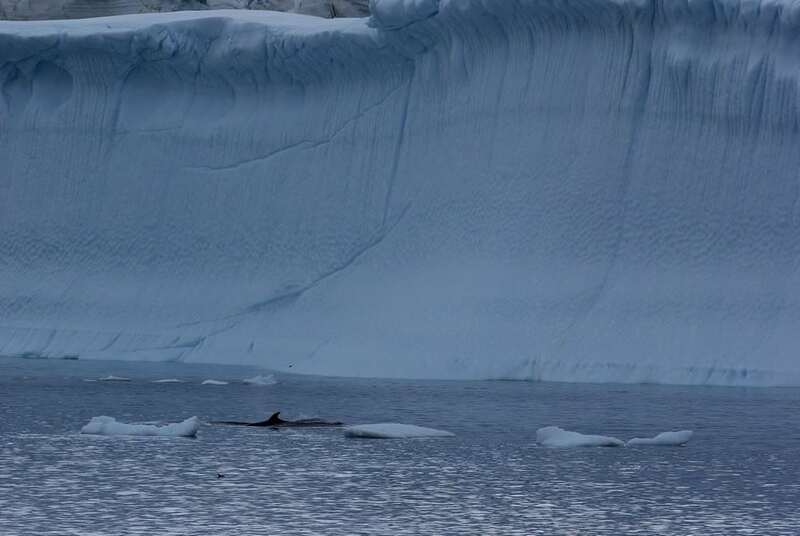 From November through to January, large numbers of minke whales can be found in Antarctica. After that, it’s a mystery. It seems as if they disperse after winter, but no one really knows where they go. What we do know, is that they prefer the open ocean, and some have been spotted as far as Australia and Brazil. A bizarre quacking sound was first picked up by submarines in the Southern Ocean back in the 1960s. Finally, in 2013 scientists worked out that the quack actually came from Antarctic minke whales chatting. Quackers! Why are whalers still allowed to kill Antarctic minke whales? Strictly speaking, they’re not. Japan has got around the global ban on whaling for profit, for decades by claiming that its hunts in the Antarctic are for scientific research. In 2014, the International Court of Justice ruled Japan’s Antarctic hunt illegal, but Japan continued the killing regardless, under a new name. The European Union wrote to Japan’s government to ask it to stop the hunt and it’s been condemned by the International Whaling Commission (IWC, the body that regulates whaling). WDC has been campaigning to get Japan’s whaling and its disregard for international agreements on the agenda of trade talks with the EU. In 2019 Japan is leaving the IWC to re-start commercial whaling in its own waters. 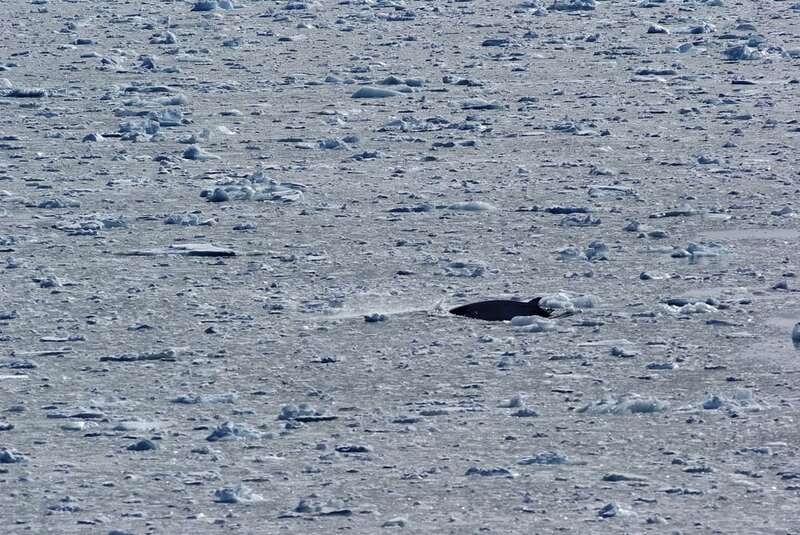 What’s this about Antarctic minke whales quacking? Back in the 1960s, submarines picked up a mysterious quacking sound around the Antarctic and western Australia. They nick-named it ‘the bio-duck’ and started to hear the strange sound every winter and spring. For decades it baffled them. 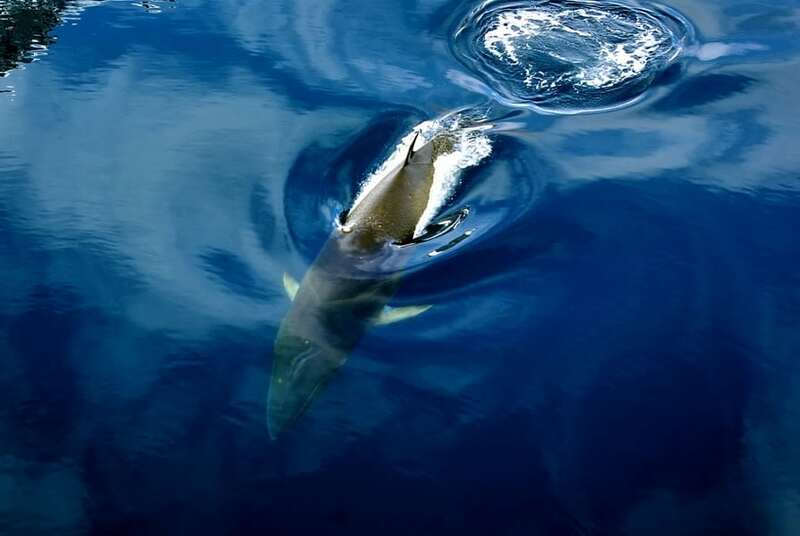 In 2013, two Antarctic minke whales were recorded making the quacking noise. Finally, the mystery was solved. 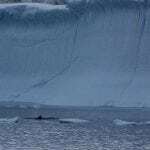 Antarctic minke whales quack! Scientists hope that monitoring these sounds will help to increase our understanding of these little-known whales, and that we’ll be able to learn about their migratory patterns and where they like to spend their time. Antarctic minke whales only have one natural predator – the orca, but their greatest threats come from us humans. Hunting – Until 2019, Japanese whalers killed hundreds of these whales in the Antarctic every year under the pretence of scientific research. Climate change – warming in the polar regions can impact the abundance and distribution of prey for the whales.